We traveled to Rotterdam for a winter city break between Christmas and New Year's Eve. 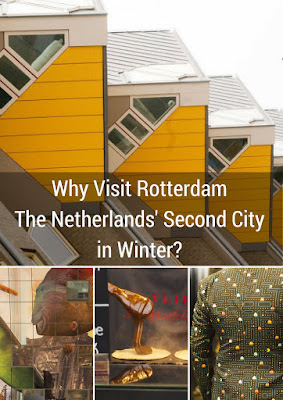 Why visit Rotterdam in winter? Why not simply go to Amsterdam, one of the top cities in Europe? There are many reasons to spend some time in the second city of the Netherlands even when it's cold outside. Hotel accommodation is much cheaper for one. It takes less than 30 minutes to get to Rotterdam on the Intercity Direct train from Schipol Airport. Rotterdam features some amazing architecture. 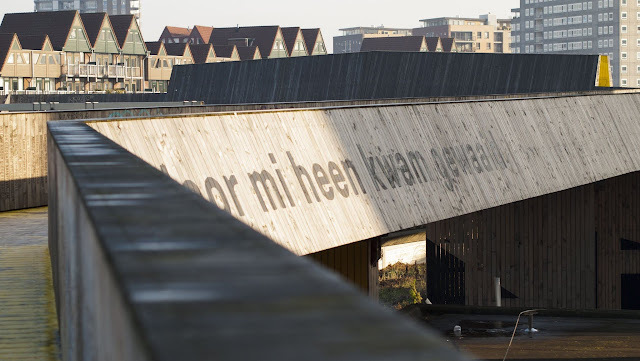 Read on to find out what there is to see and do in and around Rotterdam in the middle of winter. Did you ever wish you had a tree house as a child? Rotterdam features an architectural experiment. 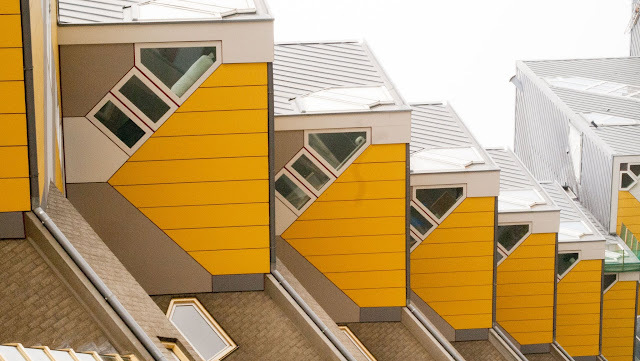 Designed by Piet Blom in 1984, this series of 38 homes comprised of pillars with cubes rotated at 45 degrees on top, looks a bit like a forest of tree houses. One of the cube houses is open to the public and can be toured for a small fee. Beware if you are claustrophobic. The cube houses are quite small and popular with visitors to Rotterdam so it can be quite crowded inside. 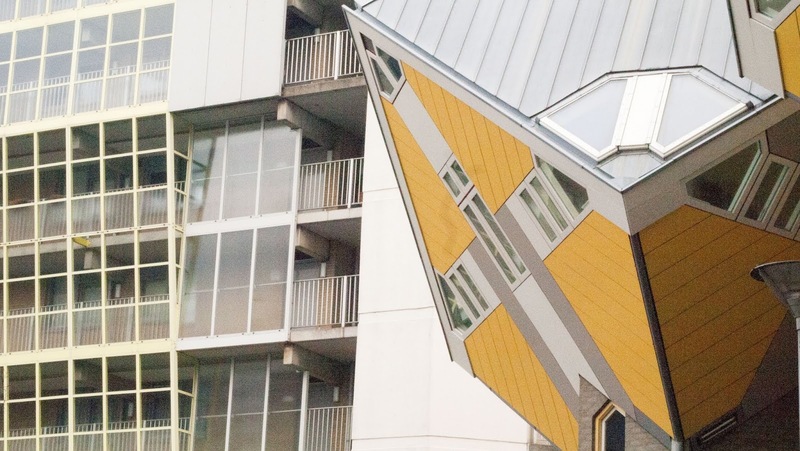 It would be easy to draw the conclusion that a city known for cube houses has some cool architecture generally. You wouldn't be wrong. A walk around Rotterdam reveals all sorts of buildings of unusual shapes, sizes, and materials. 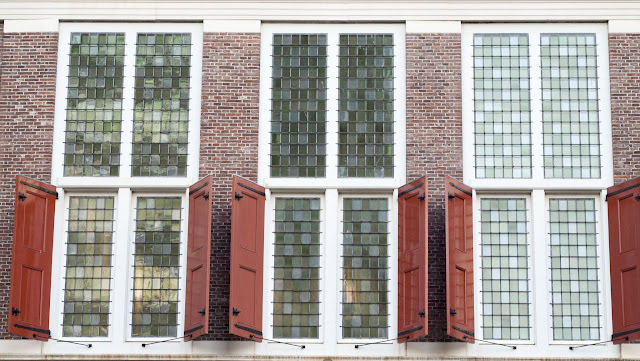 At the same time, Rotterdam is distinctly Dutch. 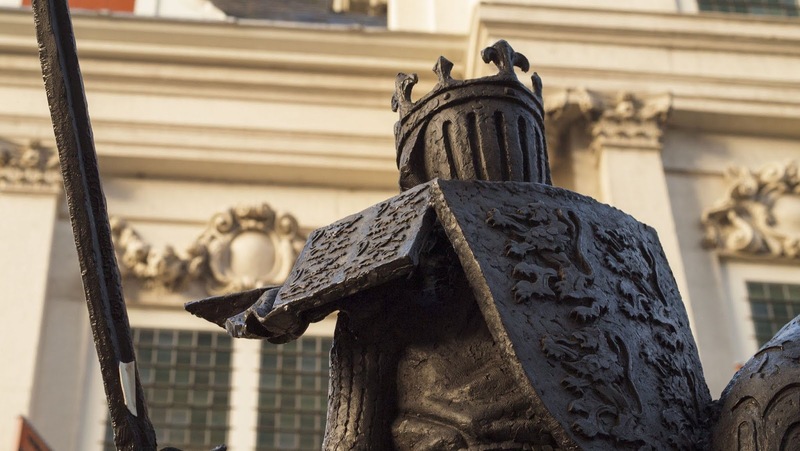 Some of the more historic buildings feature colorful shutters and statues of knights in shining armor. 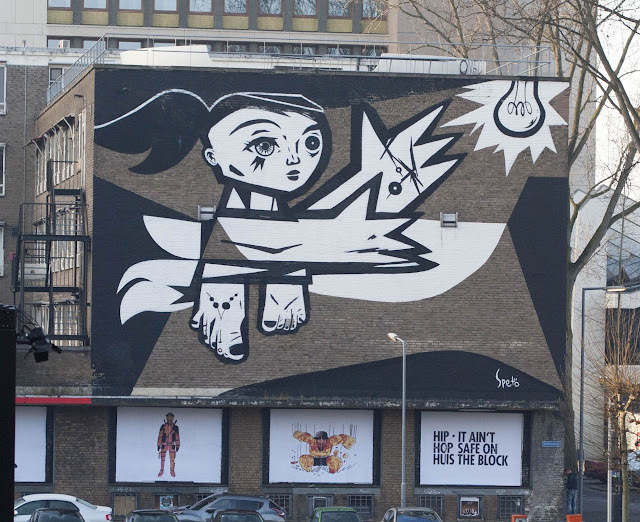 Rotterdam also features an innovative collection of street art. Just have a wander around town near the central station and steep in the atmosphere. Granted, when we visited in December it was quite cold and foggy so we didn't see as much of the local street art as we would have liked. Still, the pieces we did see on our trip gave the city an interesting edge. City breaks are all about walking around and getting a sense of a place. We really enjoyed the public sculptures dotting various street corners. 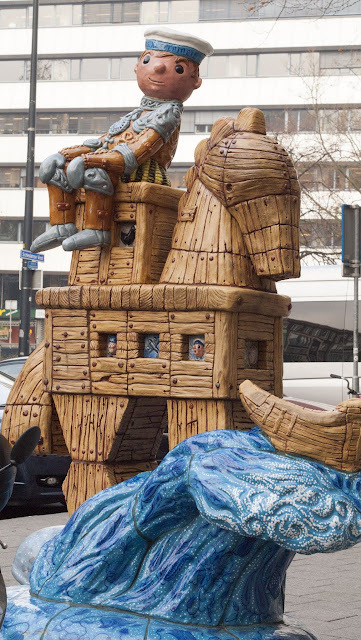 Some pieces seemed satirical while others were pure whimsy. Rotterdam's ingenuity expands in other directions as well. Rotterdam studio ZUS built the Luchtsingel (Air Canal) connecting three previously disjointed areas of the city that were separated by trafficky thoroughfares. 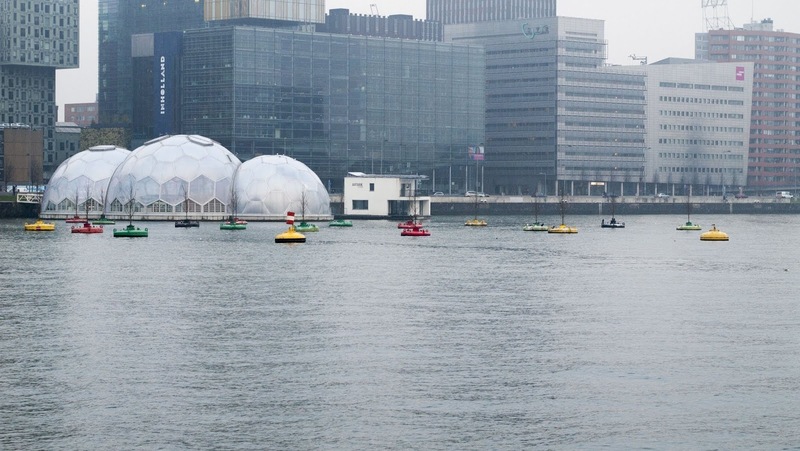 Rotterdam studio ZUS describes the endeavor as "the world's first crowdfunded public infrastructure project." Taking a walk on Rotterdam's Luchtsingel is a great way to get above it all and view the city from a new perspective. We also discovered that Rotterdam has a great coffee scene typified by Hopper Coffee. 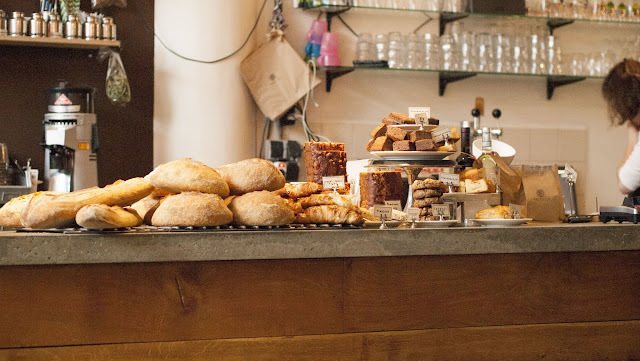 Drop in for a well prepared single-origin cuppa combined with a hearty or healthy breakfast and warm up from the cold winter outside. 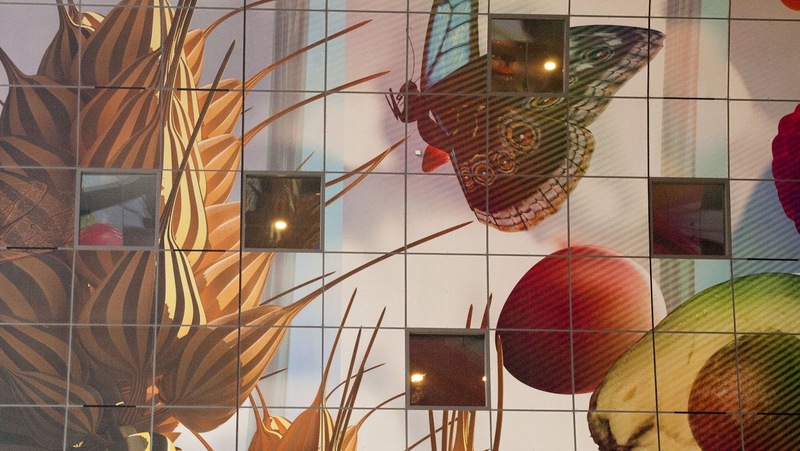 Rotterdam's Markthal is world-class. 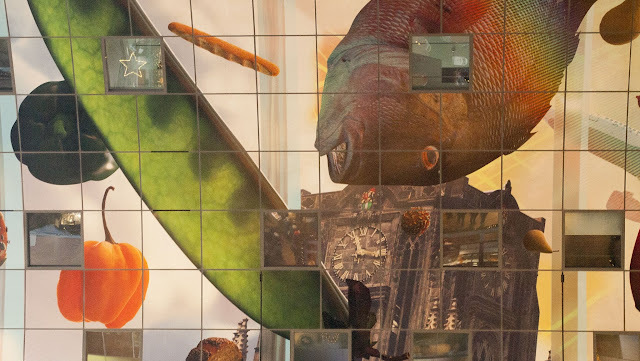 Not only is the food hall an impressive architectural achievement featuring front and back panels of glass with apartments running up and over the structure and a whimsical food-themed mural inside, it's also a great place to grab something to eat. 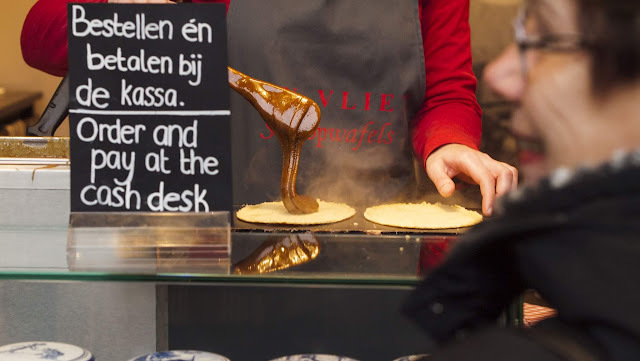 We were especially mesmerized by the homemade Dutch stroopwafels being constructed within; a perfect winter treat. 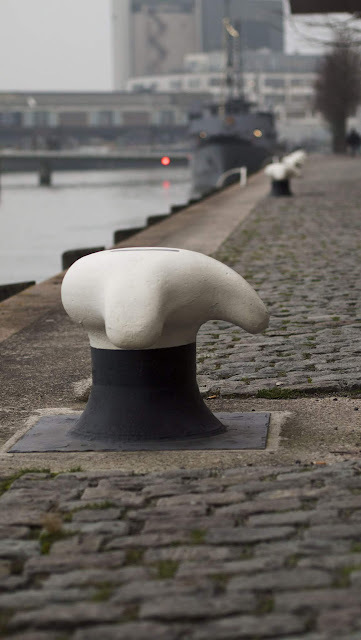 Rotterdam has a reputation for being a gritty port city. We took the opportunity to walk along the harbour. Since we visited during the holiday season, we had the path along the water practically to ourselves. This was a great spot to get a breath of fresh air and a scenic brisk winter walk. 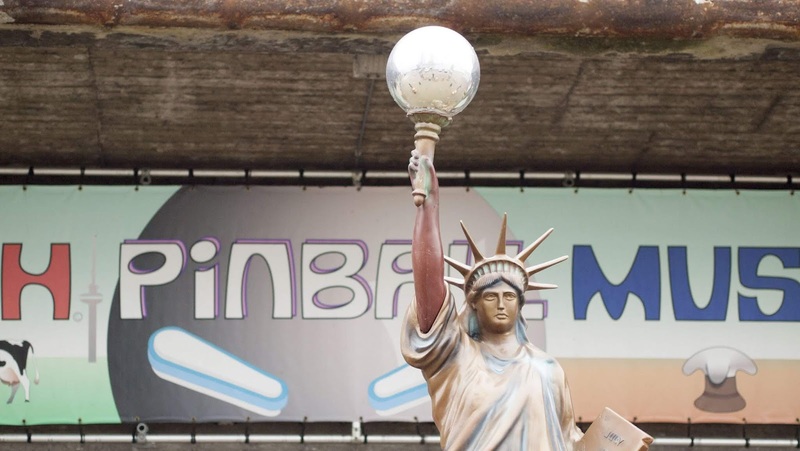 The path along harbor also leads to one of my favorite discoveries in Rotterdam: the Dutch Pinball Museum. You pay a fixed price and can play all the pinball you want. At the time of our visit it cost 10 EUR for 3 hours. We visited shortly before closing time and paid about 5 EUR to play until they closed. 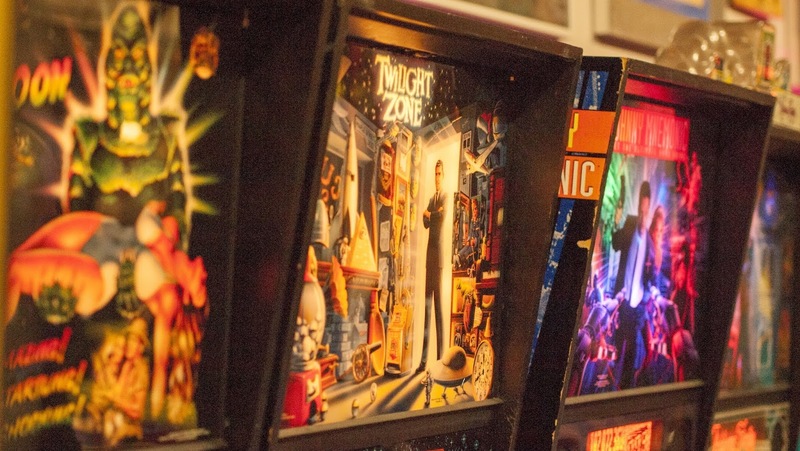 The Dutch Pinball Museum features at least 50 different machines. Pro-tip: if you are visiting with someone, it makes more sense to split up and play different machines rather than playing 'doubles' on a single machine. This way you avoid any downtime and make the most of your entrance fee. 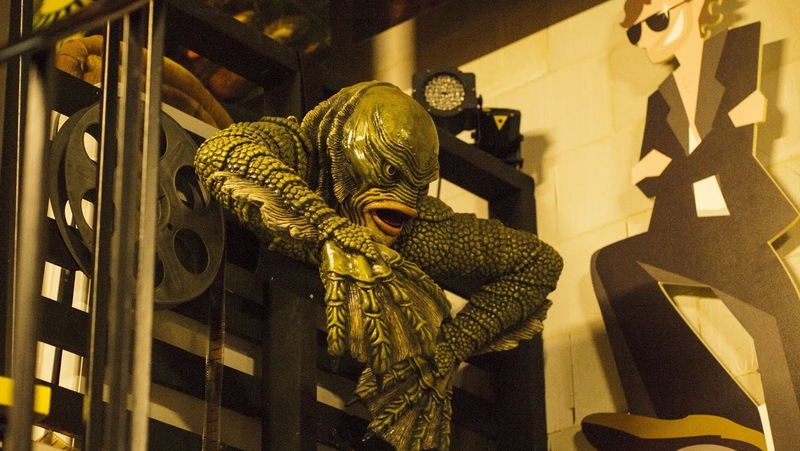 Rotterdam's Dutch Pinball Museum also features kitschy decor like the Creature from the Black Lagoon. Owner Gerard Van de Sanden even presides over the premises in a Pac-Man suit. 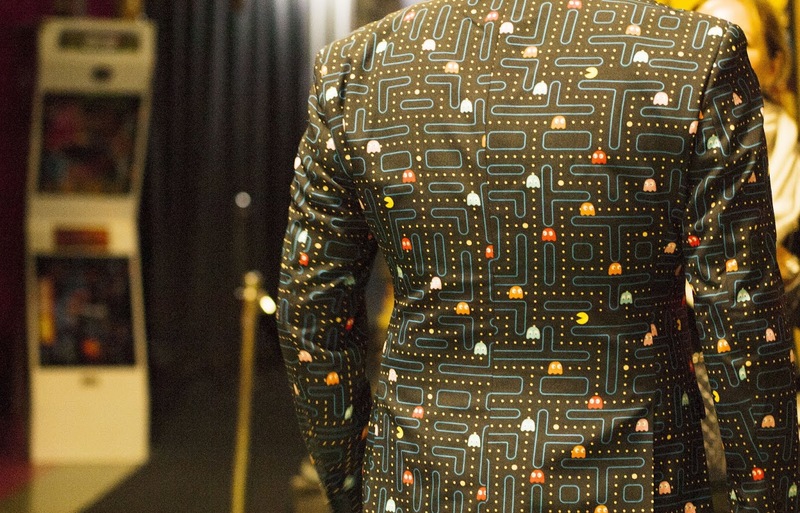 So much awesome! The Fenix Food Factory is right next door to the Dutch Pinball Museum and is a great place to unwind after some intense gaming. We popped in for a beer or two at Kaapse Brouwers and the place was buzzing. This was the first time we'd visited the Netherlands in winter and I'll admit there were trade-offs. It was definitely cold when we visited Rotterdam which meant we couldn't walk as far without popping in somewhere to warm up. On the other hand, visiting between Christmas and New Year's Eve meant that we discovered oliebollen. Oliebollen are deep fried balls of dough doused in powdered sugar. You can get them with raisins or without. Oliebollen are traditionally eaten on New Year's Eve. We broke with tradition an tried one in the middle of the day on December 29th. 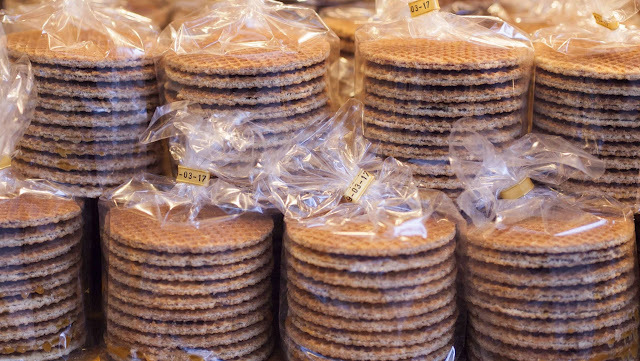 :-) We also brought some home with us and ate them for breakfast on New Year's Day, a lovely reminder of our winter city break in the Netherlands. The many cities and towns in the Netherlands as a whole are well connected by a speedy train system. We discovered that Rotterdam is an excellent home base for exploring. 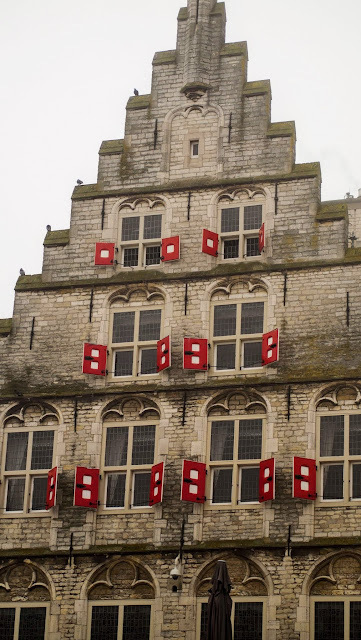 We spent a day in the quaint town of Gouda, a place first referenced nearly 1000 years ago. Gouda is a great spot to steep in traditional Dutch architecture not to mention a great place to sample some world-famous cheese. We also stopped in The Hague (Den Haag) while en route to Rotterdam from Schipol Airport. 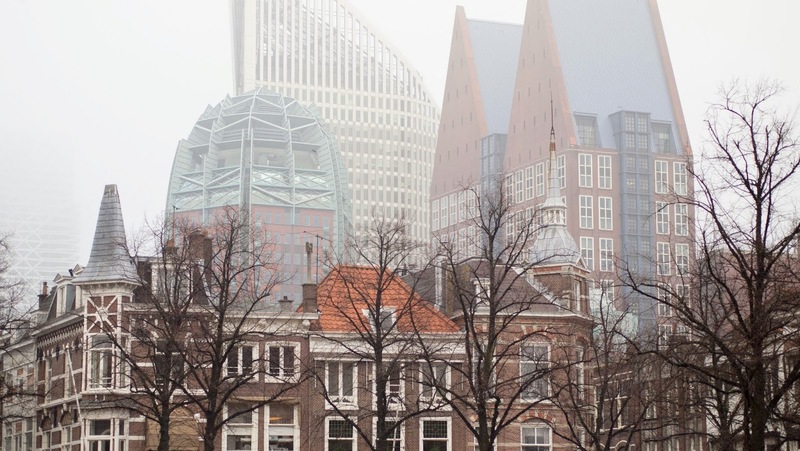 We visited on a foggy winter day but were particularly impressed by how well the new modern architecture of the city and more historic-feeling elements manage to harmoniously co-exist. We love Amsterdam but really enjoyed the change of scenery that came with visiting the Netherlands with our home base in Rotterdam. 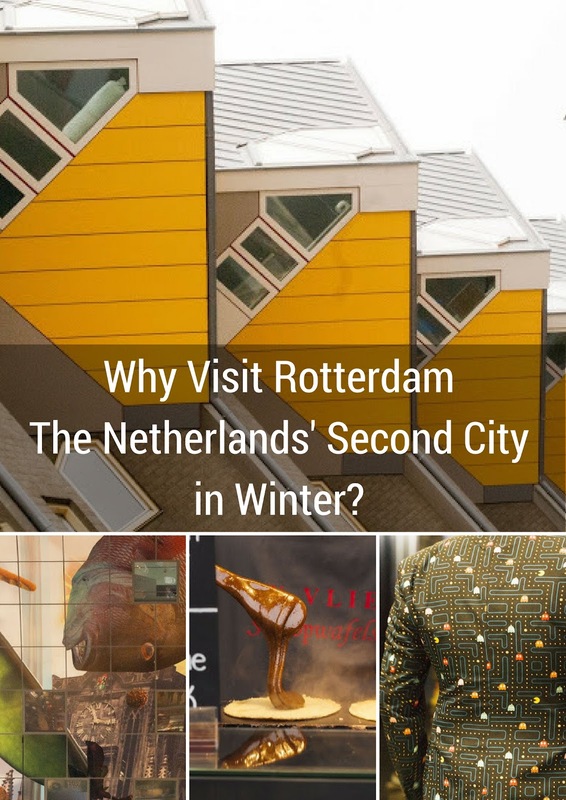 As you can see, there are many reasons to take a trip to Rotterdam as a great city break alternative to Amsterdam in the winter. Another advantage of staying in Rotterdam over the Christmas period is that you'll pay half the price that you would in Amsterdam for accommodation. 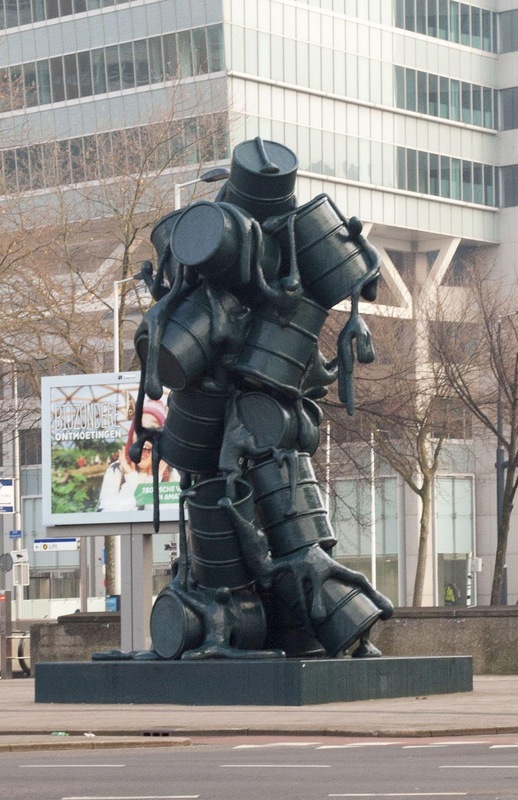 Speaking of accommodation, check out Bunch of Backpackers recommendations of inexpensive places to stay in Rotterdam. We love great value especially if it comes with the excuse to see new things. Find out why Rotterdam is a great alternative to Amsterdam for a winter weekend city break in the Netherlands. A photo-rich post by travel blogger, Jennifer (aka Dr. J) from Sidewalk Safari.